As we have with Sable in a previous blog, Spectrum Fusion continues to follow its Reactor Room participants even after they’ve finished the Reactor Room event itself. We saw that Sable had made great strides towards becoming independent after her event, and today we are going to look at another Reactor Room participant: Josh Mitchell. Josh Mitchell is a thirty-something-year-old man living in the Houston area who has great talent in editing and video recording. Josh is an excellent editor with a keen eye for detail who has previously managed to edit several books, including the critically acclaimed Aspergers on the Inside. He was looking to expand his horizons even further into video editing, specifically so that he can continue to foster his own Youtube channel. Obviously, video editing is an entirely different field from book editing, but Josh has already made great strides into his efforts, with his skills improving even in the short time since his Reactor Room experience. Josh is the manager and star of “Brick Building Fun;” a Youtube channel that focuses upon building Lego sets. It is a channel aimed mostly towards children but can be watched by anyone with a love of Legos and building. Josh also claims that his channel is also aimed to foster healthy aging in older persons interested in keeping their minds and muscle memory sharp and engaged, as well as those with physical disabilities who might be helped practicing the fine motor control needed to construct Lego sets. Josh also manages other Youtube channels as well, but wishes to devote most of his focus to Brick Building Fun. He has consistently managed to keep to a schedule of uploading videos twice a week, every Tuesday and Friday. 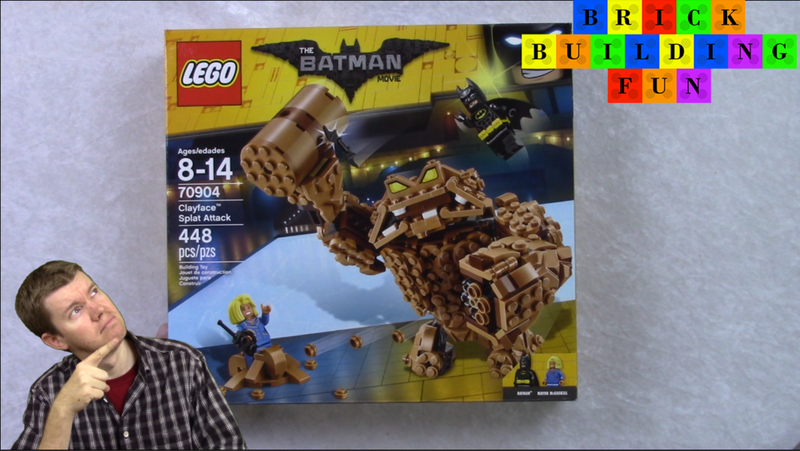 He doesn’t limit himself to any one type of Lego set, having made videos about all sorts of topics at all sorts of skill levels. Nothing is excluded as the topics range from Batman to Pokemon to Disney Princesses and the set complexity ranges from incredibly difficult towers and cities to simple sets with less than seventy pieces. What is perhaps most notable, though, is Josh’s production value for what few resources and budgeting he has. Every video shows a green-screened Josh in the corner of the screen, patiently reacting and instructing the viewer as they follow along, as well as edited in images of the instruction books to better help the audience understand what steps they need to take to complete their model, to a custom intro that plays at the beginning of every video. Every edit in these videos is made by Josh alone and helps to put his talent at video editing on display. “Legos get the wheels turning and keep the wheels turning across a lifespan,” Josh says. Research has shown this to be true. Children who use Legos show an increase in visual-spatial awareness and skills that are necessary in developing abilities in abstract thinking and mathematics. Josh hopes to be able to reach a wider audience and help bring the benefit of building Legos to a wider, more varied audience. Newer PostWhat is Spectrum Fusion?